121 Summer Breeze Drive is located in Harbour Watch, a gated, waterfront community on Lake Murray, SC and just minutes to downtown Lexington, SC. 121 Summer Breeze Drive is located in Lexington School District Three where students attend Batesburg-Leesville Elementary, Middle and High Schools. This stately, south-facing, all-brick home, was custom built by Vesta Builders. Extraordinary craftsmanship and attention to detail are apparent in this home. The flooring is 3¼” red oak hardwood, recently refinished. The basket weave pattern on the corbels is consistent throughout the home. Elite Audio of Lexington programmed the whole house with speakers and special wiring to include capability for a security system, if desired. Enter this lovely home by way of the brick stairs with iron balusters. The front door leads into the foyer and you immediately notice the high ceilings and open floor plan. The office or living room to the right of the foyer has French doors. The formal dining room to the left of the foyer has box ceilings, judge’s panel wainscoting and extra wide moldings. The great room has lighted built-in bookcases and a gas log fireplace. The master suite is on the right side of the house and has double box ceiling, walk-in closets with built-ins, private bath with two vanities, water closet, large shower, garden tub, medicine cabinets and linen closet. The kitchen cabinets have a custom sprayed lacquer finish and the counters are Santa Cecelia granite. There is a 5-burner gas range and self- cleaning convection oven. All stainless steel appliances convey. The kitchen has a high, vaulted ceiling. Also, there is a walk-in pantry. There are additional cabinets and desk area in the breakfast area, which also has a wet bar with ice maker. This split floor plan has another two bedrooms and shared bath on the left side of the house. One bedroom has a walk-in closet. There’s also a lovely powder room on the main level for guests. The laundry room has a utility sink, built-in cabinets and 2013 front-loading washer and dryer to convey. The FROG (finished room over garage) has a full bath and walk-in closet. It has a lockable hobby or gun room with custom counters that is heated and cooled space not counted in the total 3683 square feet. There are plantation blinds throughout and shutters in the master bath. The master bedroom, great room, hall, FROG and kitchen have been freshly painted. The house is equipped with a central vacuum system. On the back of the house is a 22 x 14 stamped concrete screened porch, with cable for outdoor TV. This is an extension of the living space and leads to the small back yard with stamped concrete patio. There is a brick, granite topped outdoor kitchen counter with 5 burner Jenn Air drop in grill with gas hook up directly from the propane tank. An auxiliary gas tap on one side of the counter would be perfect for a fryer or cooker hook-up. In this private backyard, there is also a beautiful stone water feature, which can be viewed from the kitchen. The power for the oversized three car garage/workshop is supported by a 60 amp subpanel. There are three 220 V circuits and one floor box in the garage. The garage floor is epoxy/non-skid. The built-in cabinets and shelving convey with the sale. Inside the garage is a utility sink with hot and cold water. Also, the hose bib outside the garage is supplied with hot and cold water, perfect for washing cars or dogs. The sloped lot provides for a large driveway with off street parking. The front of the house has been re-landscaped. This exquisite home with 3 or 4 bedrooms and 3½ baths and all of its bells and whistles could not be built anywhere else for the asking price! The property comes with a deeded boat slip, C-33, at the community marina. The boat owners’ association fee is only $320/year. That’s about what you would pay to rent a wet slip for two months at any of the local marinas. Life at Harbour Watch provides endless possibilities for homeowners. Residents enjoy life in a community where pride of ownership is evident, and people are noticing! Harbour Watch is bursting with growth and activity. The property owners’ association fee of $975/year includes gated entrance & impressive lion fountain; elegant clubhouse with caterer's kitchen; fitness center; tennis courts; lakeside swimming pool; chipping and putting green; golf cart paths and parking; private peninsula; private and shared docks for waterfront owners; deeded boat slips for off-water owners; grounds keepers, paved roads with curb and gutter. The purchase of 16 acres of green space for parks and nature trails.ensures that the residents maintain control of the association and that the property obtained is maintained as green space. That resulted in a $289 special assessment for 2018. The association projects that this land acquisition will necessitate special assessments between $230 - $260/year for the next 15 years, a modest increase for the tremendous gain for the community. Harbour Watch has underground utilities, public water and public sewer and hi-speed Internet available. Residents enjoy a variety of activities including bunco, canasta, gardening, stitching and book clubs, pot luck dinners, parades, aerobics, pilates, a monthly community night out, gentlemen’s breakfast and more. Within the first week or so of ownership, new homeowners are greeted by a “Welcome to Harbour Watch” committee member and don’t be surprised when neighbors show up with a loaf of homemade bread or a plate of cookies. Harbour Watch is truly a one-of-a-kind neighborhood. Lake Murray is the jewel of South Carolina. With over 500 miles of shoreline and 50,000 acres of recreational water, it’s truly a sight to behold. Beautiful property nestled within a peaceful lake setting makes it appealing to vacationers and residents alike. The area has more than 20 golf courses open year round for public play. Lake Murray is also home to many annual events including professional bass fishing tournaments, sailing regattas, powerboat races, the annual Tour of Homes, and many fabulous boat parades and holiday fireworks displays. 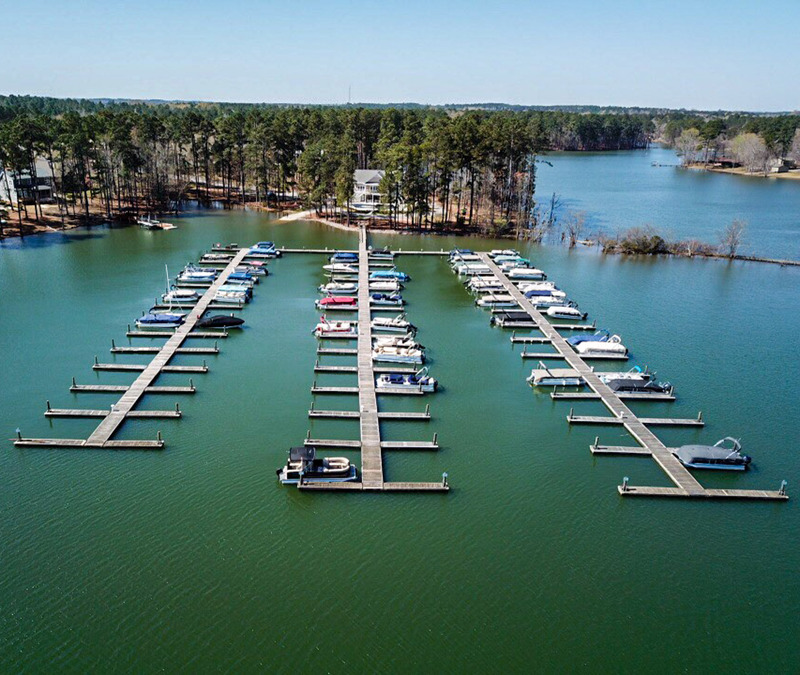 With temperatures ranging from a low of 34 degrees to a high of 56 degrees in January to a low of 71 degrees and a high of 93 degrees in July, Lake Murray residents enjoy a perfect climate for year-round outdoor recreation. At 121 Summer Breeze, enjoy hiking, swimming, boating, fishing and live the life that most only enjoy on vacation. Harbour Watch on Lake Murray, SC truly is lake living at its finest! Lake Murray SC Real Estate - The Sallie Chester Team of Exit Real Estate Consultants​. With an emphasis on property sales, Sallie Chester and her team of professional REALTORS® specialize in residential real estate in Lexington, South Carolina and surrounding areas. Utilizing cutting edge technology, along with old-fashioned customer care, The Sallie Chester Team takes pride in providing each client with superior service. Contact us today at 803-707-8595.